Tired of the brass? Is your chandelier in the dining room dating your home? Want a fresh look for the price of 2 cans of Rustoleum spray paint? 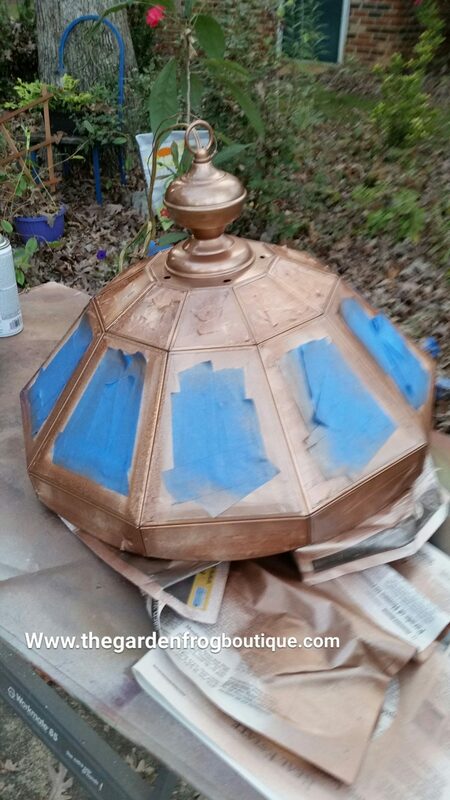 I have spray painted light fixtures and chandeliers for years. It will take you a couple hours of taping and spraying but the end results can be beautifully transforming! I am not a paid spokesperson for Rustoleum spray paint. However, I have used Rustoleum Hammered for many years on projects with fabulous results. For this free chandelier my girl friend was ‘throwing out’, I decided to use the rest of the can of Hammered Copper I had on hand. To be honest there was less than 1/2 a can which did give me the exact coverage I would normally want. The chandelier looks great and no one but me knows where a couple ‘flaws’ are. It is always wise to spray 2-3 light coats to get the coverage you need. Hammered spray paint needs to be shaken every few minutes to keep it consistent. 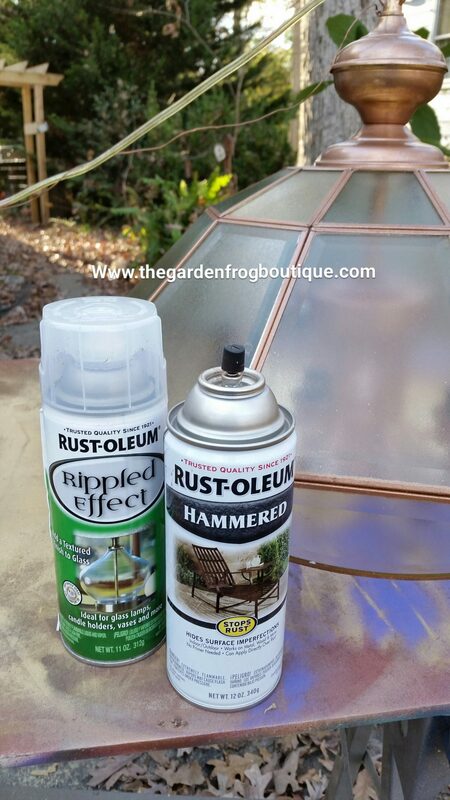 There are several colors of Hammered Rustoleum and I have used all of them for various projects. 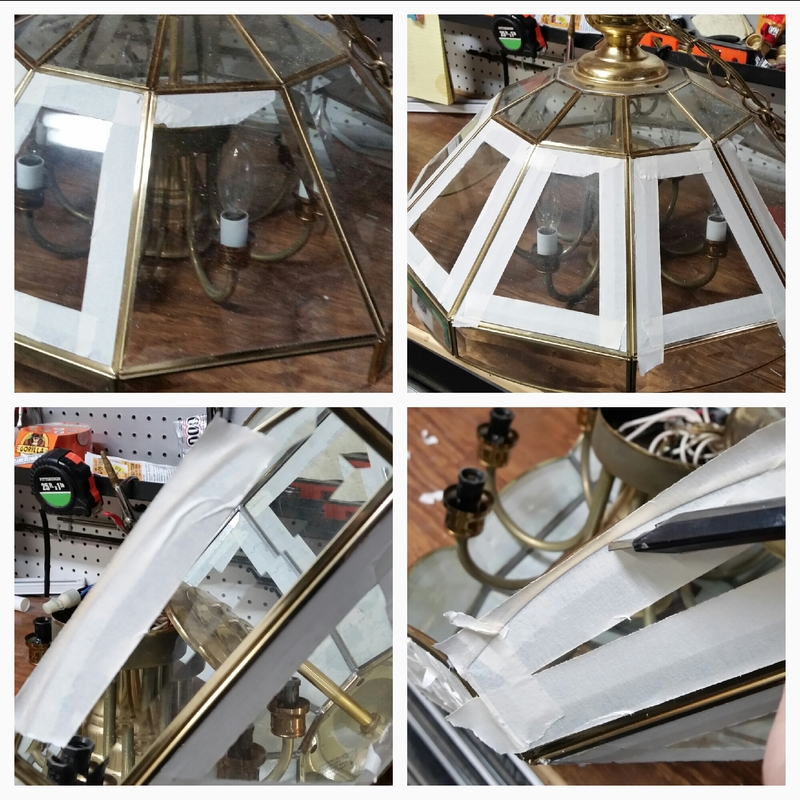 For this makeover, I just used what I had on hand but in the future I know that an average chandelier needs more than 1/2 can. 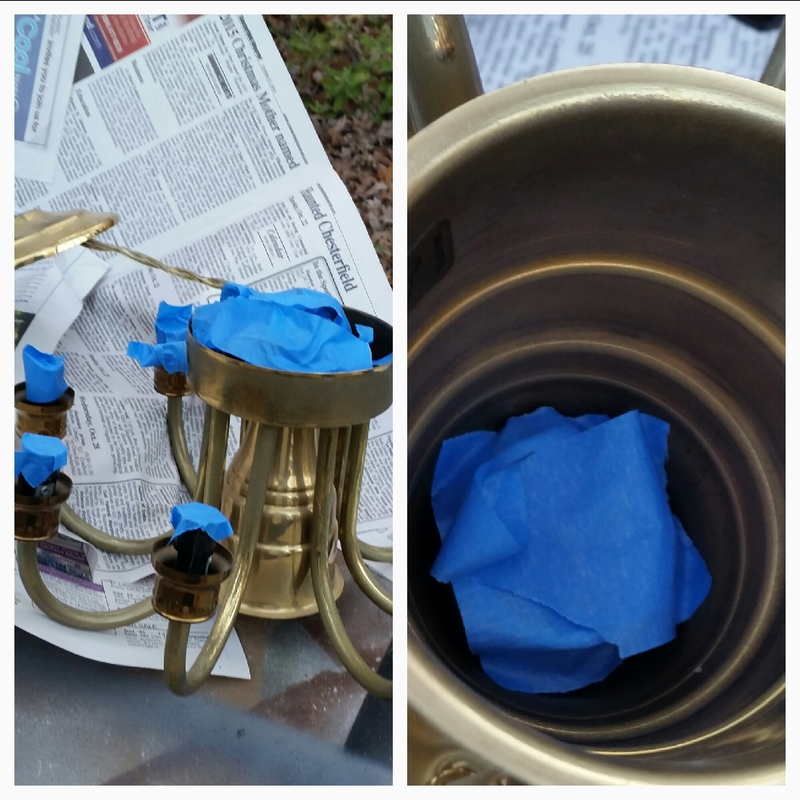 Now for the glass: I took a huge chance with using Rustoleum’s Ripple Effect spray paint for less than $4 at Home Depot. The chandelier looks okay but I was dying to see what rippled effect would look like on the dated beveled glass. It may or may be to your liking but at least you can see what your project would look like if you tried it. I actually love the look and now I have more light in my sewing room plus I just love the way chandeliers look. Note: I will switch the bulbs to LED for an even better light. 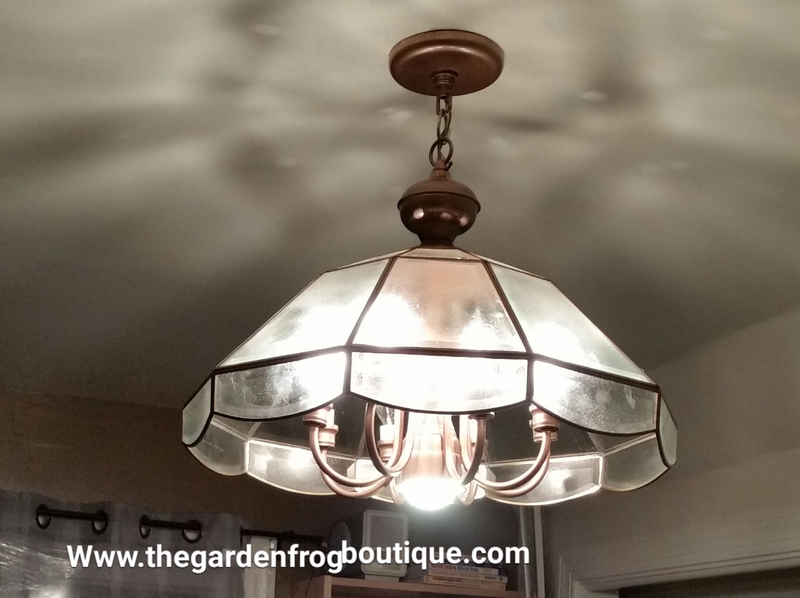 I hope I have inspired you to upcycle that outdated and somewhat ugly chandelier or light fixture. Thank you for stopping by! Tamuria recently posted…BABYSITTING BATTLEGROUND â how much is too much? What a delightful idea and so cost effective! Definitely worth a try. Thanks. Thank you! 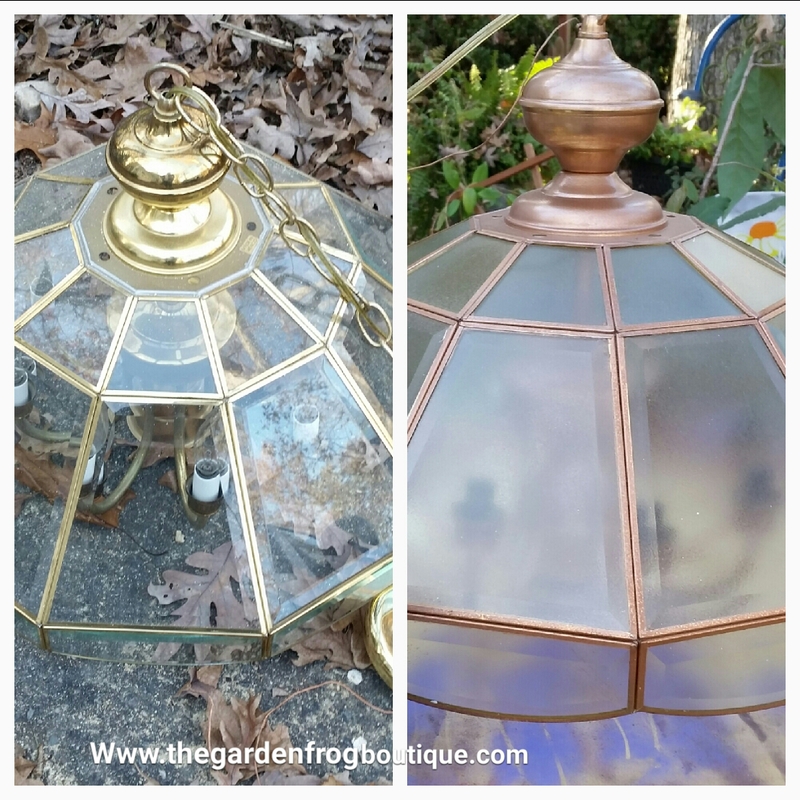 I love updating and repurposing chandeliers! Very nice results! One of my favorite shows on HGTV is Flea Market Flip. Your creativity reminds me of some of the wonderful before and after designs I’ve seen on that show. Thank you. I try to catch some of those shows every so often. 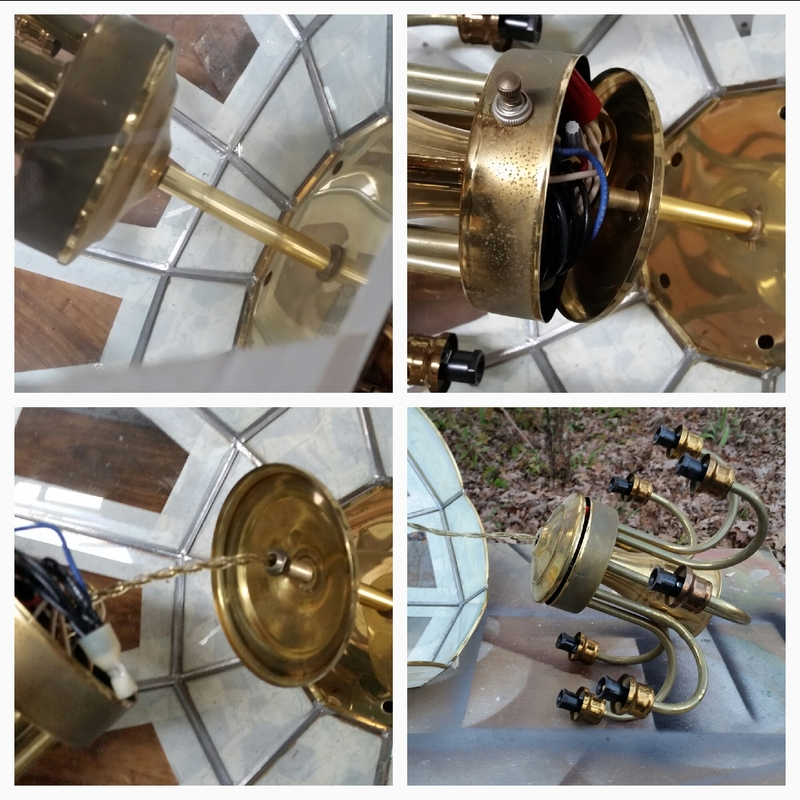 Looks like you got a lot of enjoyment from re-creating this chandelier and it looks wonderful. It’s amazing what is possible to repurpose things that would otherwise be trashed and I love that is an initiative you are sharing with others. Often things seem too hard to do and people don’t take the opportunity to experiment, so this kind of info is helpful and hopefully encourages others to up-cycle and find the beauty again in things that someone else no longer wants. Beverley Golden recently posted…You Should Take Fun More Seriously! Nice! I’ve got a brass light fixture / ceiling fan that I would like to try this on! Great idea! So this is so cute! I don’t like the shape of my lighting, so this wouldn’t help any! I am dying to try the mirror paint. Have you tried it on anything? I haven’t tried the mirror paint but the Ripple Effect had such a cool effect on this but when I tried it on a jar it was not as dramatic. Great step by step instructions. You did a great job it looks so much better! I didn’t know about Rustoleums ripple effect paint, but I use the Rustoleums hammer all the time. Nice project. I love the way it turned out. Very subtle tones.